30 Minute Money Methods Review, 30 Minute SCAM Exposed! 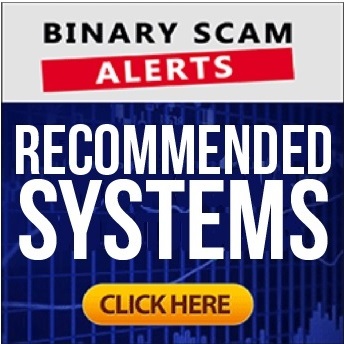 Binary Scam Alerts » Scam Reviews,Work from Home » 30 Minute Money Methods Review, 30 Minute SCAM Exposed! The 30 Minute Money Methods work from home program by the fictitious Shelly West is a confirmed work from home SCAM, and therefore BLACKLISTED in our fair and impartial 30 Minute Money Methods review. It’s a bit unusual for us to expose fake job scams, however some of our members complained and requested we dig in deep and uncover the facts behind this seemingly legit and genuine profitable business opportunity. It’s also worth pointing out that there is a huge SPAM email marketing campaign which has been successful at bypassing the Google anti-spam algorithm and penetrating inboxes. We know that the affiliate marketers behind this new work from home scam are unethical and relentless online promoters that keep peddling their fake, misleading, and deceptive schemes on the internet. It is for that reason we recommend you avoid clicking on any links which are emailed to you and simply mark the mail as SPAM. We understand some of you are looking for a legit way to earn money working from the comfort of your own home at flexible hours. The con artists behind the 30 Minute Money Methods SCAM understand this as well, and it is for that reason they are targeting you and your wallet (or purse) in a rude and aggressive way. Keep reading our fair and impartial 30 Minute Money Methods review to see how we exposed theses crooks and shed light on this dirty little operation. Below is the main sales area and video for the 30 Minute Money Methods program. In it you can see one of the paid actors talking about how he makes $500 every 30 minutes (if you believe that). And here is the smoking gun. The following is proof that the promoters of 30 Minute Money Methods use Fiverr actors in the form of fake testimonials to peddle their filthy get rich working from home scams. Again, we fail to understand WHY they would resort to using this extremely manipulative sales tactic if they wish to promote a truly genuine offer. What is 30 Minute Money Methods and Who is Shelly West? It is an extremely schematic training guide which includes very partial and amateurish material about how to generate profits working through the internet. Shelly West is a fictitious persona designed to lend the 30 Minute Money Methods scam an aura of legitimacy. We didn’t fall for this trick, and neither should you. Here’s your chance to live a debt-free, stress-free, and easy life style. Start making money working for as little as 30 minutes each day! You don’t need any college education! And according to the ridiculous sales pitch, most opportunity-seekers didn’t even finish high school and are generating $500 every 30 minutes. In the actual members area you have access to 4 sections which are equally useless. We were expecting to find some genuine information or at least some valid tips about how to build an online business and really generate income. But what we found was pathetic and worthless. It was a selection of 4 PDF files about making money from voice overs, stock photos, playing games online, and freelancing. There is also a bonus and “secret” method of making money via social media marketing. Each PDF is basically a collection of soundbites and previous data designed to appeal to the untrained eye and lure you into buying into the program. What we are witnessing here is a classic work from home scam dressed up to look like a genuine money-making opportunity. We have all the classic tells signs such as hyped up and inflated claims of easy money, fake testimonials, photo shopped inflated figures and bank statements, and outright lies and fabrications. In essence, you are about to get ripped off so hold on to your wallet because you are being targeted by some very savvy internet crooks. Pricing – It’s Not Free! This is a Clickbank offer which is used as an affiliate hub for promoting fraudulent software, fake apps, health scams, and other get-rich-quick schemes. Your credit card will be charged for the sum of €32.74, and while they do have a 60 refund policy we highly doubt you will get your money back due to the deceptive nature of this program. The most dangerous scams trending now are Bitcoin Code and Crypto Robot 365. We did see some fake 30 Minute Money Methods Reviews, however we know that the website owners endorsing this fake program are paid for and bribed in the form of affiliate commissions or just cash on the table. Work from home scams such as 30 Minute Money Methods offer you an easy way to generate income by working online. These fake job offers are usually advertised on craigslist or similar forums. Alternatively affiliate promoters profusely SPAM their databases to generate commissions (via Clickbank in this case). The most troubling and disturbing aspect of work from home scams is that they target people who are unemployed or in dire need of cash, and in this way exploit their weakness. The way to spot one of these scams is to be a skeptic and start asking the hard questions such as “can you back up your claims with actual figures?” or “who is really behind this program?”. The responses you will receive will indicate who you are dealing with. Taking a different direction now, we usually have requests about various trading apps. Fortunately our staff has compiled a short list of consistent cash-producing machines which have withstood the test of time. These are all proudly showcased in our recommended section.